Global enforcement of anti-corruption laws is at an all-time high. Accordingly, it is imperative that an acquirer thoroughly investigate a target company’s anti-corruption legal compliance as part of its preacquisition due diligence review. A target company’s failure to have complied with anti-corruption laws can result in huge fines and penalties. Potentially even worse, a buyer that fails to conduct adequate due diligence in this area may discover after closing that the revenue of the acquired business cannot be sustained without bribery. These risks are real. In 2007, after eLandia International Inc. acquired Latin Node Inc., eLandia discovered questionable payments and self-reported the situation to the U.S. Department of Justice and U.S. Securities and Exchange Commission. A post-acquisition investigation revealed that Latin Node had paid approximately $2.2 million in bribes to Honduran and Yemeni officials prior to the acquisition. Within a year of closing, eLandia disclosed that its “$26.8 million purchase price was approximately $20.6 million in excess of the fair value of the net assets acquired from Latin Node mostly due to the cost of the [Foreign Corrupt Practices Act] investigation, the resulting fines and penalties to which it may be subject, the termination of Latin Node’s senior management, and the resultant loss of business.” ELandia was also hit with a $2 million penalty by the DOJ in 2009. Thus, within two years after closing, eLandia not only lost its initial investment but incurred millions of dollars in additional costs. These are consequences that potentially could have been avoided had eLandia conducted a more robust due diligence review. Kraft Foods Inc. provides another example. A few months after its $19 billion acquisition of Cadbury plc in 2010, Kraft received a subpoena from the SEC in connection with a Foreign Corrupt Practices Act investigation of Cadbury’s India operations. The investigation is ongoing, but surrounding allegations suggest that Kraft may have failed to conduct adequate preacquisition due diligence, which might have saved the company from significant turmoil and potentially severe financial consequences. 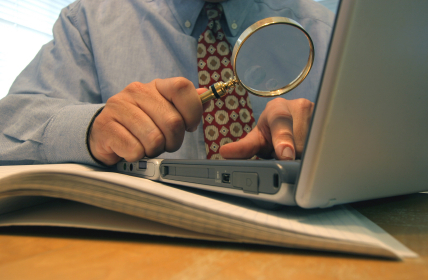 Preacquisition due diligence is not just for buyers. It may also be desirable for sellers to identify and resolve potential violations of anti-corruption laws before a buyer learns of them and walks away, as Lockheed Martin Corp. ultimately did after discovering that Titan Corp. had previously made $3.5 million in improper payments. Although Lockheed gave Titan eight months to obtain assurances from the DOJ or reach a plea agreement, Titan failed to do so, prompting Lockheed to terminate the acquisition and Titan’s stock value to plummet. In addition, if the acquisition currency includes buyer stock, the seller may want to conduct appropriate “reverse” due diligence with respect to the buyer’s compliance with anti-corruption laws. The DOJ’s opinion procedures may further incentivize companies to conduct thorough preacquisition due diligence. In Opinion Procedure Release 03-01, the DOJ agreed to forgo action with respect to the target’s potential Foreign Corrupt Practices Act violations. After discovering questionable payments in its preacquisition due diligence, the acquirer obtained this assurance by agreeing to: (1) cooperate with the DOJ and SEC in their investigations of the payments; (2) discipline employees or officers who made or authorized the payments; (3) disclose additional preacquisition payments; and (4) implement a compliance program and system of internal controls. When compared to the consequences experienced by companies such as eLandia and Kraft, undertakings such as these are a small price to pay. An effective due diligence review necessarily involves investigation, risk assessment and compliance evaluation. These elements of the due diligence process are inexorably intertwined, and the scope and focus of each element may need to be adjusted based on the results of one or more of the other elements. Investigation. The target’s compliance controls and business practices should be investigated, with a focus on anti-corruption policies and procedures, the use of agents and third parties, and, if appropriate, the compliance controls and business practices of such agents and third parties. The scope and focus of the investigation should be responsive to the results of the risk assessment and compliance evaluation discussed below, and direct and indirect contacts with governmental authorities should be scrutinized. In some cases, interviews of employees or other knowledgeable individuals may be helpful, especially if indicia of potential noncompliance are discovered. Risk assessment. Factors to be considered initially in assessing risks include: who owns and controls the target; with whom the target does business; where the target does business; and how the target does business. Circumstances in which the target uses the services of third parties or conducts business in countries with a reputation for corruption may present heightened risks that warrant special attention. In any case, risk assessments should be refined throughout the process to take into account the results of the investigation and compliance evaluation as they evolve. Compliance evaluation. While most companies now have anti-corruption policies, a key challenge for the buyer is to determine whether the target has merely a “paper program” or a truly effective program. Buyers may wish to assess, among other things: who receives training; how they receive training; and how the target ensures that its compliance program is working. More concretely, buyers will need to seriously consider the impact of any indicia of noncompliance that may be discovered in the course of the investigation. If the due diligence review described above raises red flags or otherwise does not give the buyer sufficient comfort, the buyer may wish to take one or more of the following actions: (1) request that the target conduct an internal investigation (possibly with the assistance of independent counsel and forensic accountants) to gather more information for assessment; (2) seek to avoid becoming directly or indirectly responsible for preacquisition noncompliance by the target by structuring the transaction as an asset purchase; (3) seek seller indemnification or third-party insurance covering the noncompliance risks; (4) renegotiate the purchase price to reflect the economic effects of the noncompliance risks; (5) seek governmental forbearance to mitigate the effects of the noncompliance risks; or (6) abandon the transaction altogether. Of course, the potential feasibility, desirability and efficacy of any such actions will be a function of the specific circumstances presented. After the deal closes, the buyer should take appropriate steps to ensure that the acquired business is subject to an effective anti-corruption compliance program. This may involve adopting or enhancing such a program at the target level, and will necessarily involve integrating the acquired business into the buyer’s compliance program. The DOJ has provided minimum suggestions for such compliance programs, including enacting a corporate policy against violations, training employees to comply with the policy and adopting compliance requirements for the retention and oversight of all agents and business partners. Adequate preacquisition due diligence, self-reporting and future compliance may mitigate a buyer’s risk of acquiring an unexpected liability or otherwise overpaying for an acquired business. In an era when anti-corruption enforcement is a top priority for governments across the globe, conducting robust due diligence and responding appropriately to any issues or risks that may be identified is critical when mergers and acquisitions reach across borders. Mark Betzen is a partner in Jones Day’s M&A practice in Dallas. Weston Loegering and Joshua Roseman are partners, securities litigation and SEC enforcement, in Dallas for the firm.